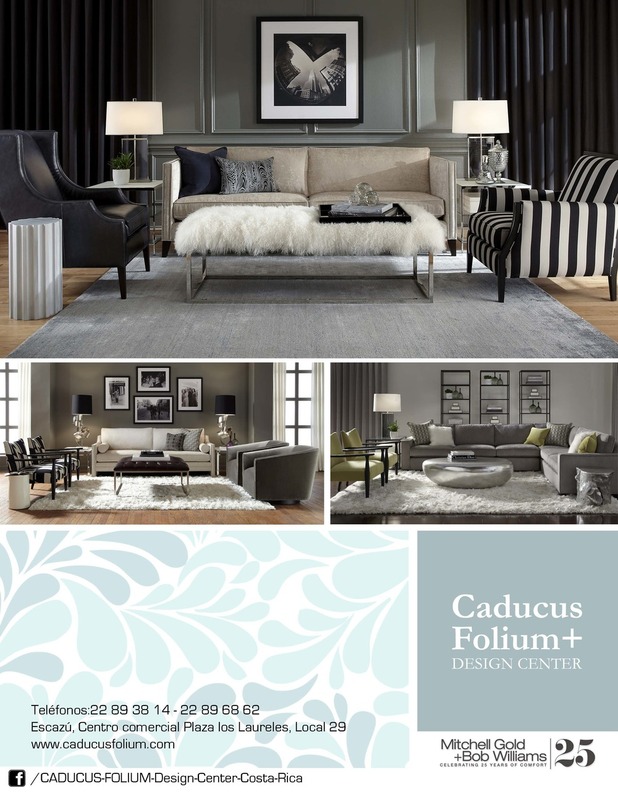 Caducus Folium+ Design Centers will help you achieve a striking individual solution for your residential, commercial or resort project. We provide our clients with a host of services that range from conceptualization, selection, shipping, logistics, installation, and project management. This is paired with our partnership with renowned international brands that enable us to deliver high-end products at a competitive price point. Each project requires individual attention to order, ship, and install customized furnishings. A quick response time and a great deal of attention to the complexities and uniqueness to each project are the backbone of our process. With a reputation for quality and dependability, we have continued to expand internationally and now have locations in: Costa Rica, Nicaragua, Honduras, Ecuador and North Carolina. We developed excellent relations within local markets as well as maintain international expertise in logistics. 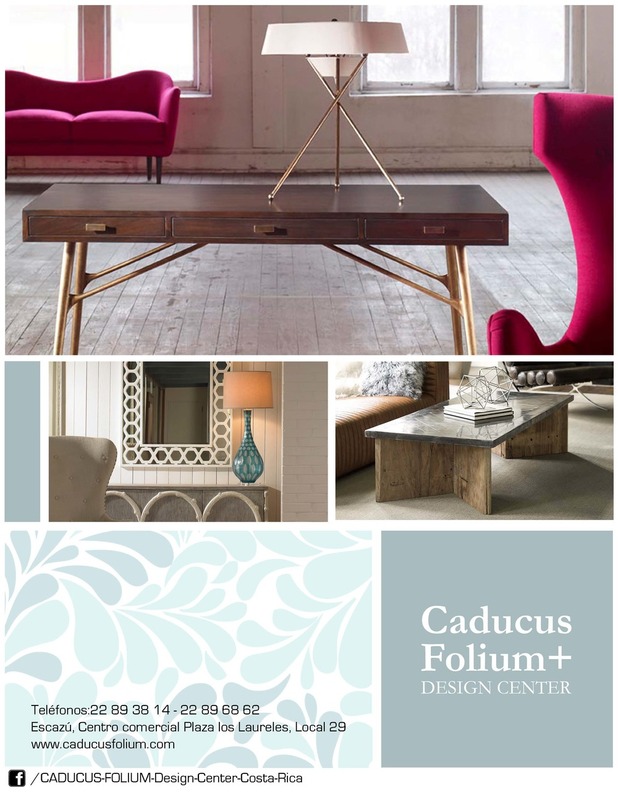 Please contact Caducus Folium+ Design Centers if we can be of service. Contact us at info@caducusfolium.com or call +1-828-475-0035. 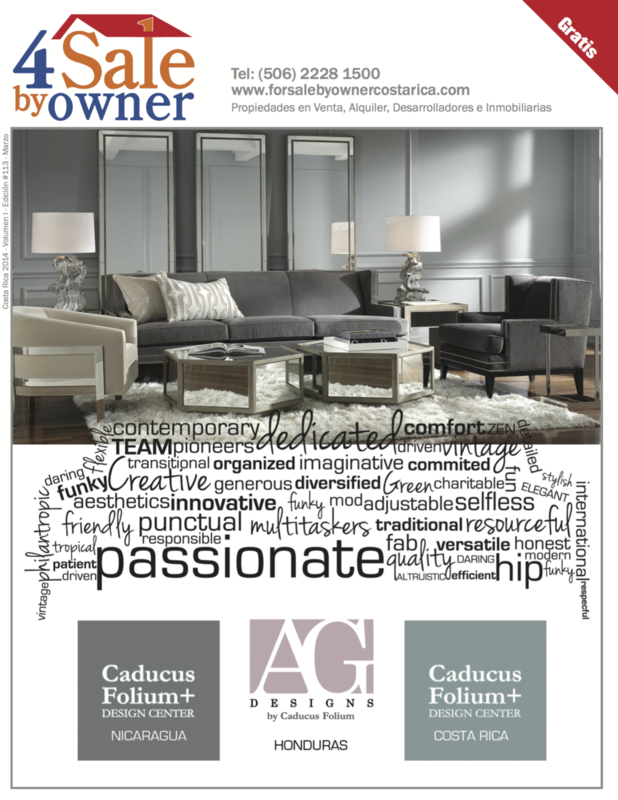 We are proud to showcase the Caducus Folium+ Design Centers and our partner designers in the media. Please email media@caducusfolium.com for media inquiries. 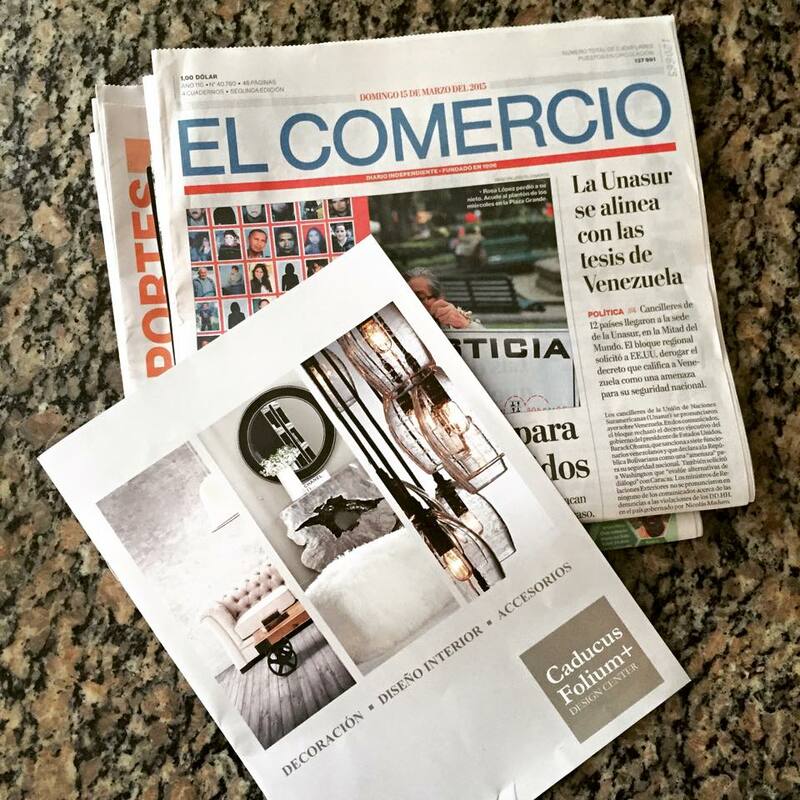 Caducus Folium+ Ecuador in Clave! 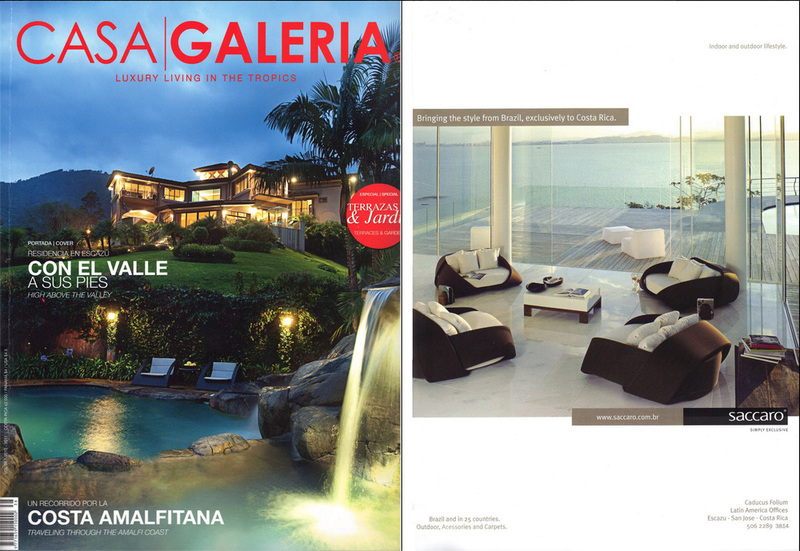 Caducus Folium+ Design Center Ecuador featured in the special design issue of Revista Clave!